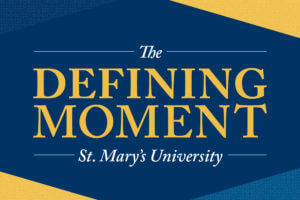 St. Mary’s University has reached a defining moment in its 165-year history of Catholic, Marianist education. San Antonio’s original institution of higher education announced the Defining Moment Comprehensive Campaign on Friday, Nov. 17, at the Marriott Rivercenter Hotel. With a goal of $130 million, it’s easily the University’s largest-ever campaign, with 24 donors making gifts of $1 million or more. So far, $104,872,000 has been raised. 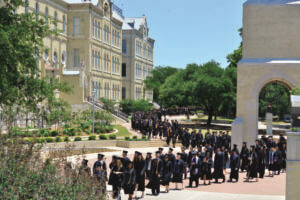 The campaign’s numerous fundraising objectives are designed to meet the needs of St. Mary’s students and, ultimately, the growing workforce in San Antonio and South Texas. These goals include a new STEM building, a Center for Catholic Studies, a Law Success Program, enhancements to the Greehey School of Business, a performing arts venue, centers devoted to military veterans and international students, and endowments for faculty positions and student scholarships. Multiple endowed student scholarships for undergraduate, graduate and law students will ensure a St. Mary’s education remains possible for bright young men and women who otherwise might not be able to continue their education. A fourth STEM education building will provide additional classroom and office space. 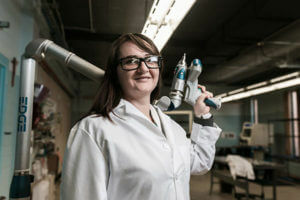 State-of-the-art labs and equipment – some already remodeled thanks to our benefactors – will expand student opportunities as enrollment continues to increase and innovative degree programs are added. An interdisciplinary Center for Catholic Studies will promote campus-wide education, scholarly work and external outreach to examine culture and pressing regional, national and international public policy issues through the lens of Catholic intellectual thought, Catholic social teaching and Marianist spirituality. Endowed faculty chairs and professorships will be established across the University, allowing students to engage in important research under faculty supervision and to find meaningful internships and professional employment. 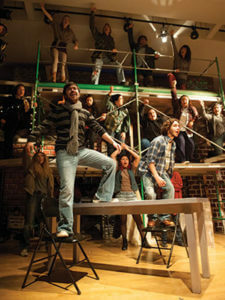 A Performing Arts Center will provide facilities for arts education and student performances. The new arts center will also allow St. Mary’s to re-establish arts education programs for high school students. Career services endowments will prepare students for the job search and assist them in obtaining career-related internships and employment opportunities. Enhanced Big Data, Finance and Risk Management, and Entrepreneurial Studies programs will allow the Greehey School of Business to offer an unparalleled student experience, emphasizing internships, travel abroad and meaningful networking opportunities. A Law Success Program will bolster the skills and values necessary to study and practice law as well as help the School of Law fulfill its obligation to its students, preparing them to succeed in their career paths. Student development opportunities – through the Marianist Leadership Program, Alternative Spring Break and service learning – will prepare students for lives as servant-leaders. Endowed funds will support engaging residence life activities and programs. Research shows that students perform better academically and graduate at a higher rate if they live on campus. A University Veterans Center will provide the focused programming and services that meet the unique needs of students who are veterans. An International Students Center will address the special needs of international students, many of whom have never visited the United States. The renovation of Reinbolt Hall, built in 1908, will create a home for the Center for Catholic Studies. This spiritual center of campus currently houses Assumption Chapel and the Theology Department. An endowed chair for deans of each of the four schools will ensure St. Mary’s always has the financial resources to recruit and retain effective leadership. Alumni Bill Greehey and A.R. “Tony” Sanchez Jr. are campaign honorary co-chairs. Sanchez, executive chairman of the Sanchez Energy Corporation, earned his bachelor’s in Business Administration from St. Mary’s in 1965 and doctor of jurisprudence in 1969.